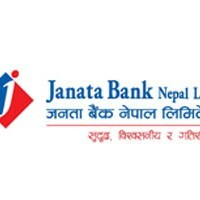 Janata Bank Nepal Limited is the 27th commercial bank established under the Bank & Financial Institution Act, 2063. The bank’s corporate and banking office is located at Sankhamul Marg, New Baneshwor, Kathmandu. Currently the bank is operating with 25 branches and will gradually expand its branch network to provide its service all over the country. With 836 promoters, the bank is the first licensed commercial bank to have an initial paid up capital of NPR 2.6 billion.